If you call up images in your head when you hear “crash test dummy,” you probably see humanoid figures with big grins and flesh-colored limbs. Like most people, you remember the old Incredible Crash Test Dummies giving the thumbs-up in their monochromatic jump suits—a blue collar worker who’s been trampled like collateral damage by the unforgiving auto industry. That gets your sympathy gears turning as you consider the hardships many autoworkers have faced recently. Crash test dummies are a fitting testament to the average Joe, right? If that’s the case, why not make them resemble real people a bit more? Thanks to the obesity epidemic in our country, the human substitutes are becoming a bit more real—we’ve earned fat crash test dummies. 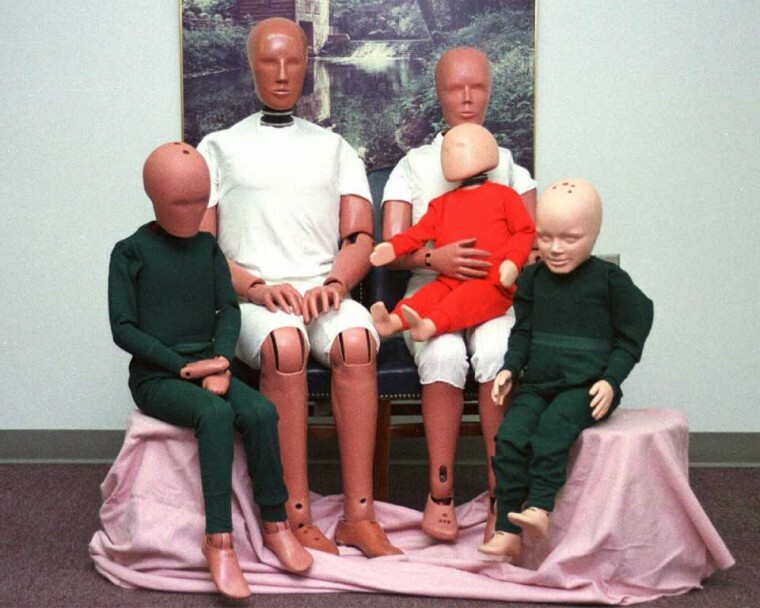 For the longest time, crash test dummies resembled the average adult to illustrate the effects of a collision during automobile safety testing. They were meant to imitate the average American who would be driving the car when it was put on the market. With one-third of Americans being notably obese, Humanetics realized the trend won’t be changing any time soon and the company began manufacturing fat crash test dummies. For one-third of Americans, that happy, slender plastic figure isn’t the norm anymore. It’s become an ideal—the mannequin in the department store window. How large is considered average now, according to the fat crash test dummies? It’s well above healthy, with a body mass index (BMI) of 35 and a weight of 270 lbs, according to NPR. First our likenesses are called dummies, and now they’re being made fatter? Crash tests are offering way too much of a social commentary on America. Although, it is offensive that crash test dummies aren’t more ethnically diverse.